Running through the Storms: Looking for an affordable way to pay for Disney? Are you looking for an affordable way to pay for a vacation to Disney World? My husband and I are always looking for new ideas and ways to save money on future trips. 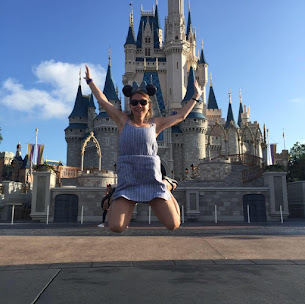 I had the opportunity to review a new book on how to save money at Disney Land or Disney World and how to save before evening heading to Disney. 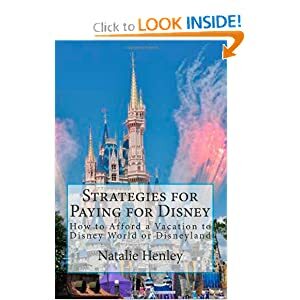 This book will save you money and gives many creative ideas on how to save for a Disney Vacation. Natalie Henley offers great tips and advice on dining, resorts, transportation souvenirs and all of the theme parks. This book offers great advice to the first timer or the person who has been to Disney several times. You will not be disappointed with all of her advice. Natalie has done her homework and has written a fantastic one of a kind vacation guide that will help your family truly create one of a kind memories. The best part of this book is all the money saving, budget tips in creating an affordable vacation. I loved how she did a great job in detailing the information about Disney. This book will save you hours of time and hassle trying to guide your way into the parks. If you are going on a Disney Vacation or dreaming of one in the future, you need to get this budget savvy Disney Guide to help create a stress free, memorable vacation. Here is some of the tips you can expect to find in this book.. Couponing your way to Disney? Is it cheaper to drive a car to the park or should you take the Disney bus System? What are the perks at staying on Disney Property? Have you heard of Hidden Mickey? What are some of the cheaper dining locations? Is a Disney Credit Card beneficial in earning dollars if you can pay it off every month? This book contains a lot more.. Just thought I would mention a few! I highly recommend this book and hope you check it out for your future vacations! 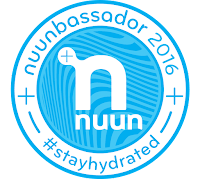 To find out more information go here!! You can purchase the book through Amazon here.. Thank you to Natalie Henley for providing me a review copy free. The oponions expressed here are strictly my own and I was not compensated for a positive review.